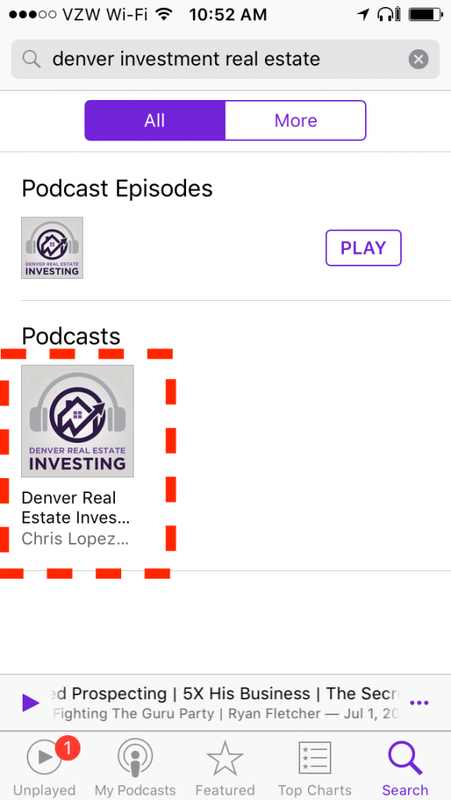 If you're already familiar with podcasts, the easiest way is to search for "Denver Real Estate Investing" on the app that you currently use to access podcasts and look for our show icon. If you're new to podcasts, the easiest way is to listen to the podcasts directly off of the website. Simply visit "Education -> Podcasts" in the navigation menu or click here. The page will list all the episodes with a player on the website. All you have to do is hit the play button! 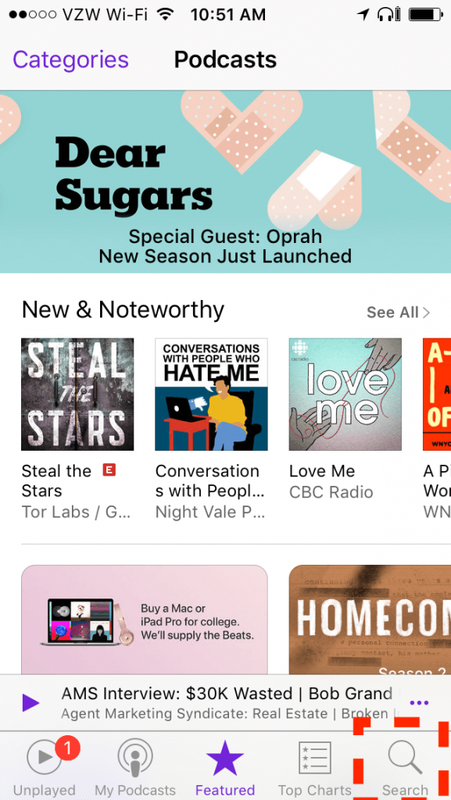 To subscribe, select the "Subscribe on iTunes" button above. 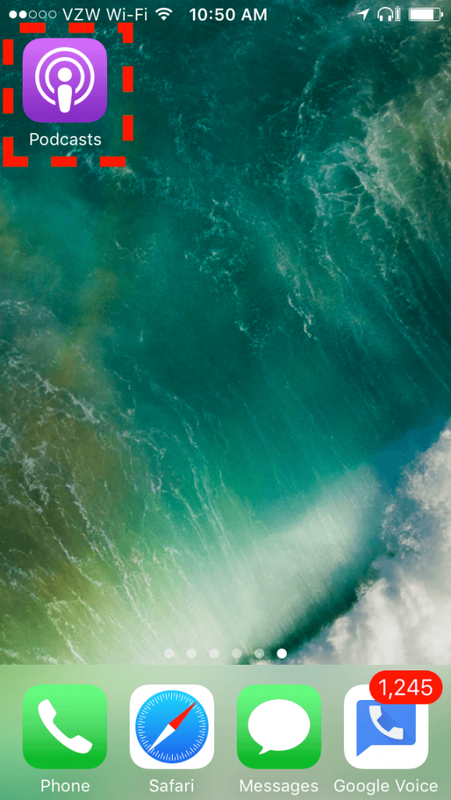 Note, iTunes gets fussy. If it's not cooperating, scroll down to the "iOS Podcast App Instructions" section for step-by-step instructions. To subscribe, select the "Subscribe on Android" button above. If that's not working, click here for step-by-step instructions. Just remember to search for "Denver Real Estate Investing." You can listen directly on the website by visiting "Education -> Podcasts" or click here. The page will list all the episodes with a player on the website. All you have to do is hit the play button! 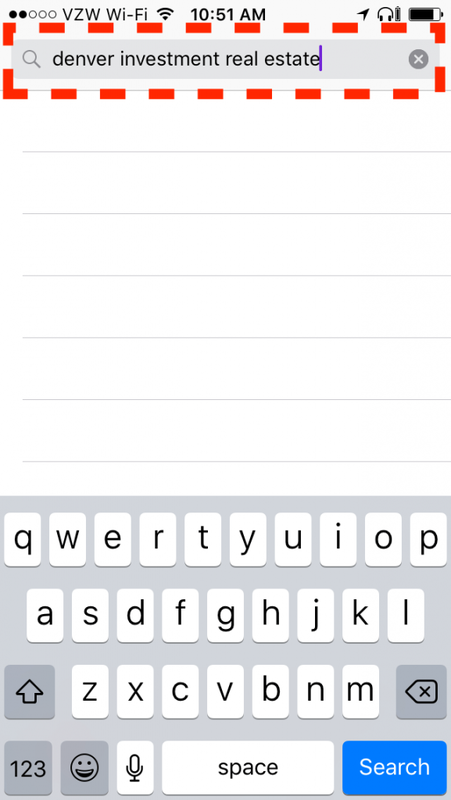 Step #2: Click the search button in the lower right. 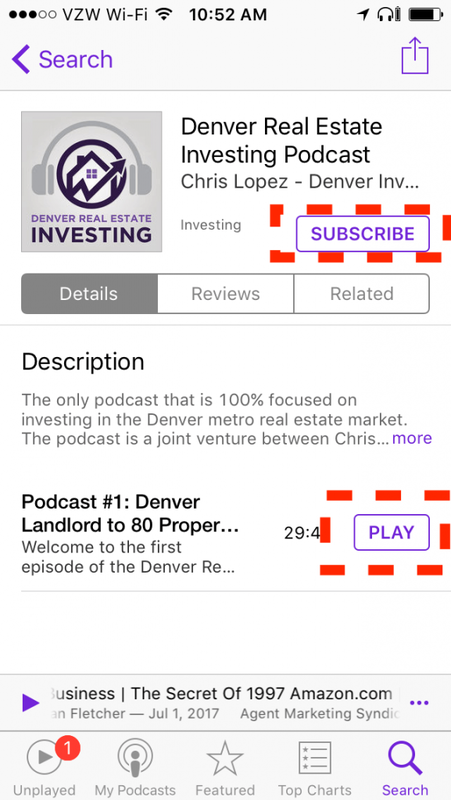 Step #3: Search for "Denver investment real estate"
Step #4: Click on our show - the house with the headphones. Step #5: Click "subscribe" to get future episodes and click "play" to listen to the most recent.